Monday morning – the Monday morning after ONE WHOLE WEEK off school! – both my kids came to the laundry room looking for articles of clothing to wear that day. Y’all, that’s how behind on laundry I’ve been. 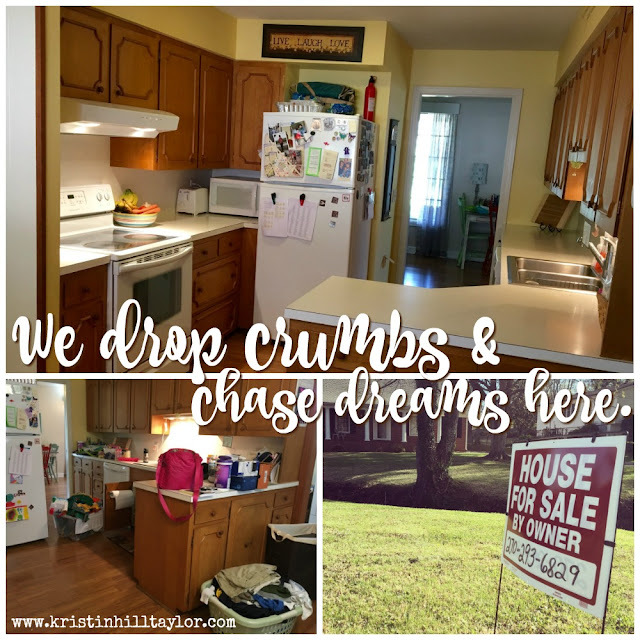 I could tell you all the excuses: Trying to keep my house clean to sell. Not doing all my normal chores when the kids were home for Spring Break. Staying at the lake the previous weekend. I just wasn’t doing laundry. The kids found what they needed – in the single basket of clean clothes, which, really, is a miracle because I typically do loads by person, so normally their stuff wouldn’t be in the same load. That was just a happy accident, friends. So, anyway, I did many loads of laundry on Monday. I even folded some. And then I did more on Tuesday. And, well, there’s always laundry to do. Plus, even the laundry needs to be in neat piles – in the hampers for dirty clothes in laundry room, in the basket beneath the laundry shoot from Cate’s room, in baskets of clean clothes waiting to be folded, and in baskets folded waiting to be put away – because we’re trying to sell our house. I posted our house online during Spring Break. Maybe I should have waited a week. But I was eager. And, hey, it was mostly clean. But we showed it twice last week and already twice this week. And we have another showing scheduled tomorrow. Oh, and we’ve heard from three realtors who would like to list our house. And speaking of listing it, I took pictures one room at a time as I got them cleaned. Meanwhile, there would be random things moved from room to room so they wouldn’t show up in any pictures. That whole process got me thinking about how we try to clean up ourselves so people only see the sparkling finish. Meanwhile, we have burdens and issues stuck in the corners of our hearts. But, really, like selling a house, there are times to be quick to point out the strengths. My house built in 1964 has lots of closets and built-in shelves in several rooms. There’s good lighting. And the location is superb. I’m good at organizing information, closets, and parties. I do what I say I’m going to do as promptly as possible. I’m loyal. Of course, there are other times that being real is the answer. My house isn’t always this clean. Maybe the people looking at our house won’t see where I need to figure out how to get the pen and pencil drawings off my son’s light blue walls. Maybe the imperfections in the floors and walls won’t be noticeable. Sometimes I yell too much or make snap judgments. I’m quick to think I’m right. And I can lose sight of people when I get sucked into projects. And I do the same thing in my heart. My house and I, we’re works in progress. The important thing is that I’m becoming more open to growth and change. So on Monday, that first day back to routine after a fun, filled Spring Break, I didn’t leave my house. My baby girl took two longer-than-usual naps. I did those loads of laundry and cleaned up my house – and my soul. We embraced the quiet while the big kids were settling back into school and my husband was busy working. And then we all gathered around the table to eat the Taco John’s my husband picked up on his way home from work because I was going to make spaghetti only to realize at 5 p.m. that I didn’t actually have any spaghetti sauce – from a jar, because that’s how we roll around here. One kid pouted, another was starving after the plate was cleared. I was holding onto some bitterness I let go at 2 o’clock Tuesday morning when Rachel decided she needed to eat. Whatever, growth spurt. Oh, and, I really wanted to dessert after dinner last night, so I made some fudge while the rest of my family ate ice cream. Honestly, tasting fudge in the springtime was such a sweet treat. I associate it with Christmas, but I was happy to have it in April. This is real life. This is where we live. And, really, I mostly wouldn’t change a thing – especially if fudge is an option.